If you enjoy donuts, you will definitely want to invest in a couple donut pans. 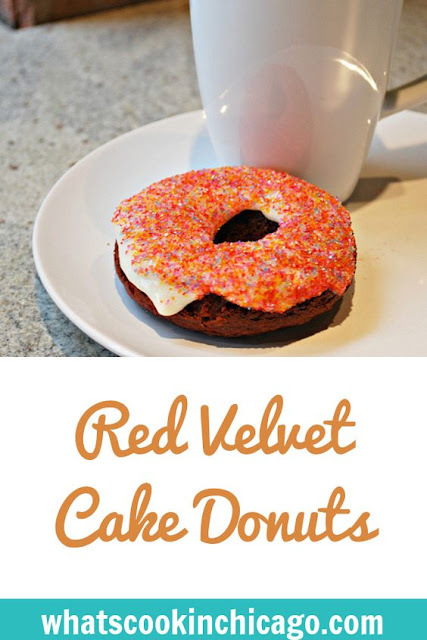 These are great to use for baked donuts like this recipe! Making these donuts were easy since it's one where everything is stirred in a bowl and then spooned into a donut pan before baking. These pans are the typical donut rings, but stay tuned... I'll be sharing other donut pans available on the market in a later donut post. In a large bowl, whisk together the flour, cocoa, sugar, salt and baking powder. Add in buttermilk, egg, and melted PLUGRA butter stirring until well blended. In a small bowl, combine baking soda and vinegar together, then add in vanilla. Transfer mixture into the doughnut batter; then stir in red food coloring. Spoon or pipe batter into greased donut pan, filling each mold 2/3 of the way full. Bake in preheated oven for 10-12 minutes or until tops spring back when you touch them. Let the donuts cool in the pan for 5 minutes before removing and glazing. 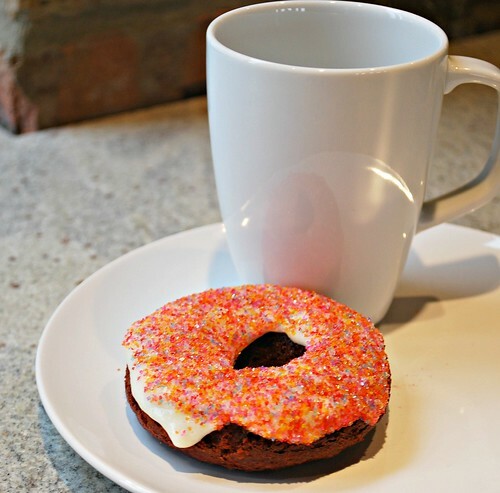 * You can use all-purpose flour, but the donuts will not be as cakey as the ones made with cake flour. Let me just say OH-MY!! Thanks for sharing. Yum!!! 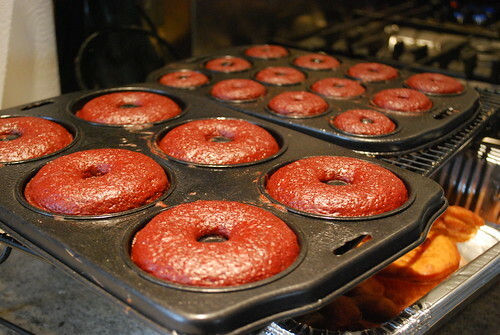 I love Red Velvet Donuts! I got so into baked donuts last year, I bought 2 pans. And this recipes like this are why. Done!